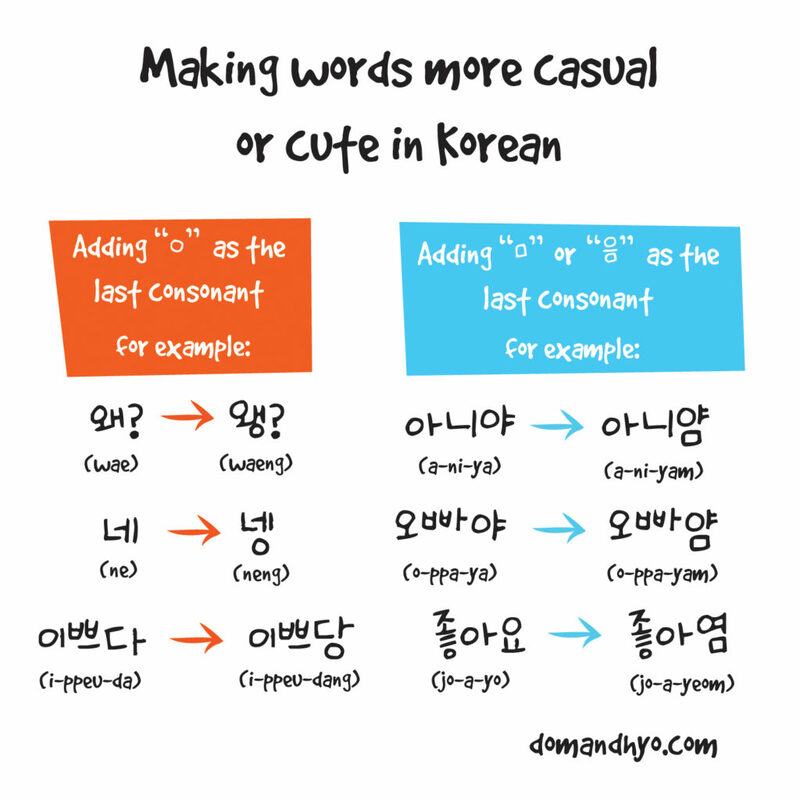 These ways of making Korean words casual or cute is very common and used by lots of people. 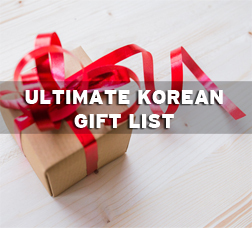 You may have seen some of your Korean friends using these and been confused…well now you know! Try using some of these yourself. 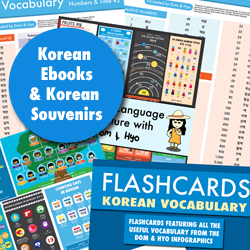 And Happy Hangul Day! We have also written them below. 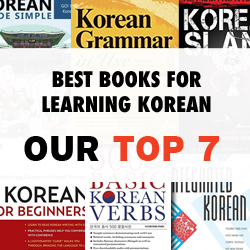 If you want to study even more and improve your Korean, check out our ebooks over at the Dom & Hyo Store. Is there any rule when to add ㅇ and when ㅁ?